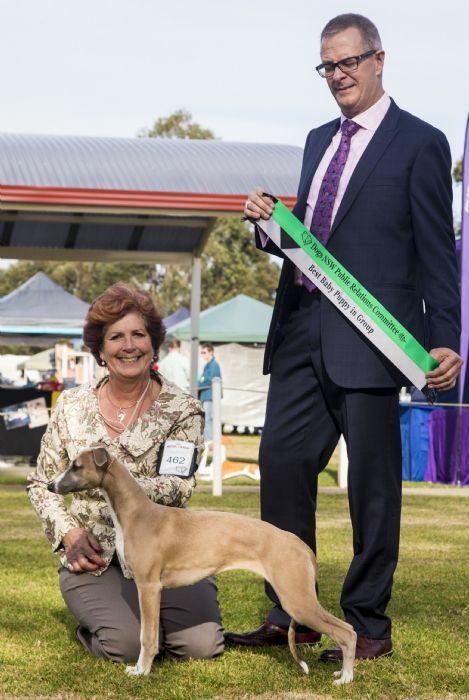 Sandy is the result of a repeat mating of Jimmy (Ch Karnabay Jimmy Choo) and Jayde (Ch Ridgesetter Out Ofthe Blue). Sandy has a lovely big side gait, true out and back, and with her classic fawn type appeals to whippet specialists. We see shades of her grandsire, the fabulous Cooper (Sup Ch Peperone New Sensation), particularly with respect to movement. Sandy is a Best In Group and multiple class in group winner. As is usual at Ridgesetter, she competes against her kennel mates, including our Ava. Sandy and Ava were born the same day from different litters. 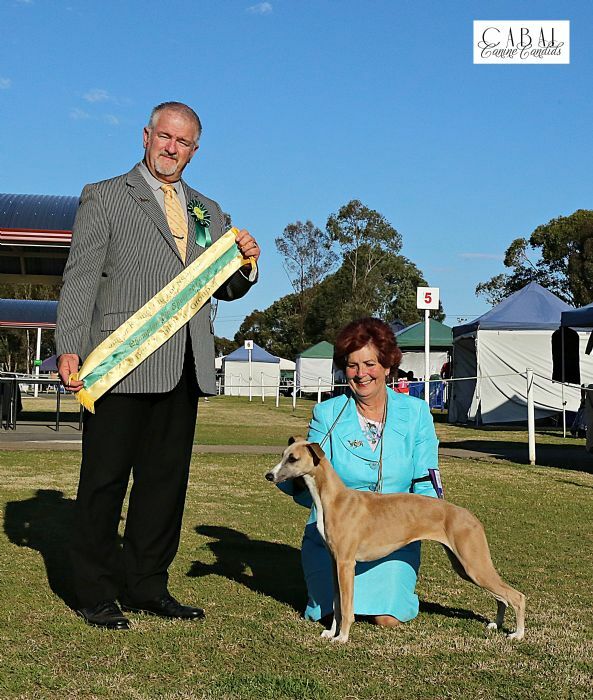 Sandy is a multi BIG winner and has some big wins under her belt in big company including RUBIS under Ive Kimmelmann from Merci Isle USA, RUBOB under Harold Tatro of Redglen USA as the Sighthound Show. Sandy was bred to Twitch (Sup Ch Arjai Like A Criminal) and produced a lovely litter early 2018 from which we kept a son, Oscar, a brother went to Wyldchase and a sister went to Bundoon. Very happy with Sandy's litter.